Huge Savings Item! 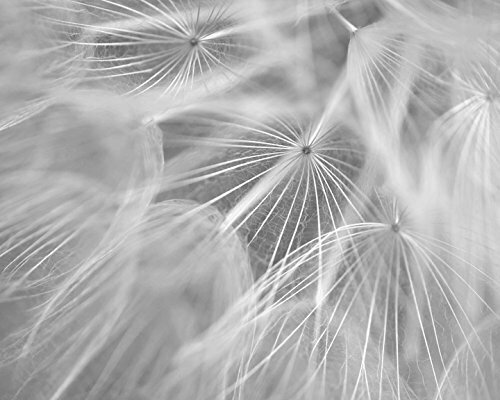 Save 16% on the Dandelion Artwork, Pale Grey White Flower Abstract Wall Art, Modern Black and White Photography Print, Large Floral Picture, Nursery, Baby Girl Room Decor, Vertical or Horizontal by Natural Photography Spa at When Art Imitates Life. Hurry! Limited time offer. Offer valid only while supplies last. Black and white Dandelion art as flower photograph for your modern shabby chic bedroom, girls room or bathroom wall decor. Artist Irina Wardas. Black and white Dandelion art as flower photograph for your modern shabby chic bedroom, girls room or bathroom wall decor. Artist Irina Wardas. Please keep in mind that every computer monitor displays colors a bit differently, so what you see on the screen might vary a little bit from the prints you receive. My studio monitors are professionally calibrated, and coordinated with my labs on a weekly basis to ensure the best possible results.